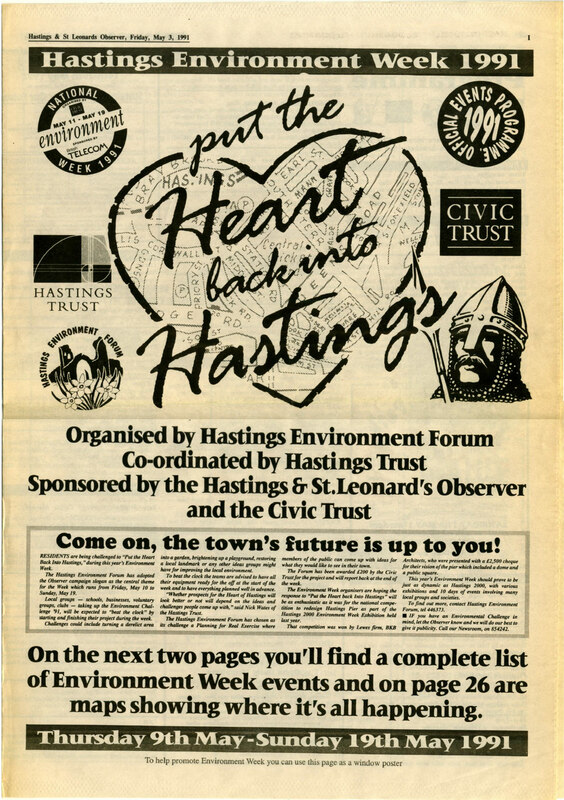 The 1991 Environment Week programme, in the form of a Hastings Observer special feature. The event was organised by Hastings Environment Forum and co-ordinated by Hastings Trust. The week included an exhibition on Hastings Pier featuring various local environment groups and the results of a national architectural competition for design ideas for a new pier for Hastings.